Canning Pickled Ginger - Canning Homemade! I don't know about you but when I go out for sushi the pickled ginger is just as good as the raw fish. It always surprises me that until now I had not thought about doing my own and having it on hand. Tonight Jess, who is my dear friend Renee's daughter, made a pint jar that got me very excited about making my own. The recipes is very simple and the final product that Jess made is incredible gorgeous in the jar. Peel the ginger with a vegetable peeler or the edge of a spoon. Using a mandolin, slice the ginger as thinly as possible (preferably paper thin and no thicker than 1/16 inch). Cover the ginger in a bowl with salt and let sit for one hour. After one hour, drain and rinse the salt off the ginger. In a 2-quart saucepan over medium heat, combine the vinegar, sugar, and salt. Stir until the sugar and salt dissolve, then increase the heat to medium high and bring to a boil. Remove from the heat and cover the pan. When the water boils, add the ginger and cook, stirring once or twice, to soften it, about 30 seconds. Drain the ginger in a large colander over a bowl and reserving the vinegar mixture. You could also use a slotted spoon. 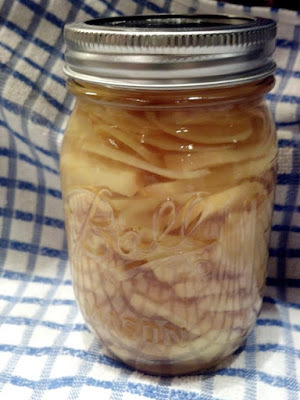 Ladle the ginger into your hot jars, using a canning funnel if you have one. Pour in the vinegar mixture into the jar and fill to 1/2" headspace. Remove air bubbles, and refill if necessary. Wipe rim and place lid and ring on the jar. 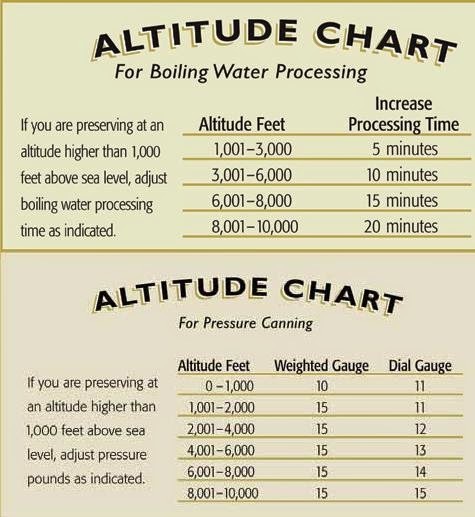 Process in a water bath for 15 minutes at a full boil.